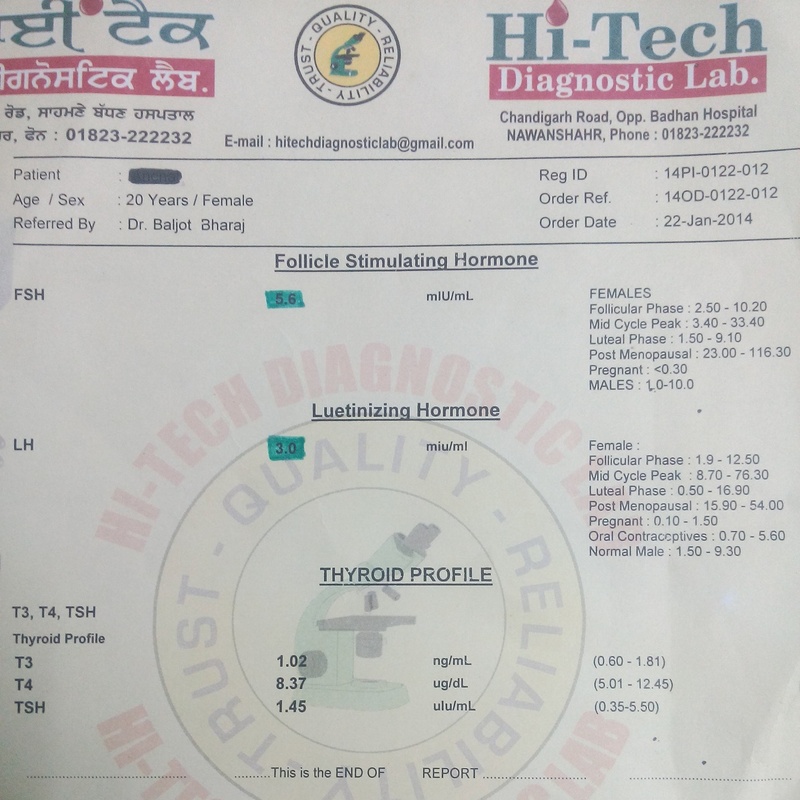 This patient 20 years / female , had came with the complaint of delayed menses and weight gain since 8 months . Her USG report indicated PCOD? . 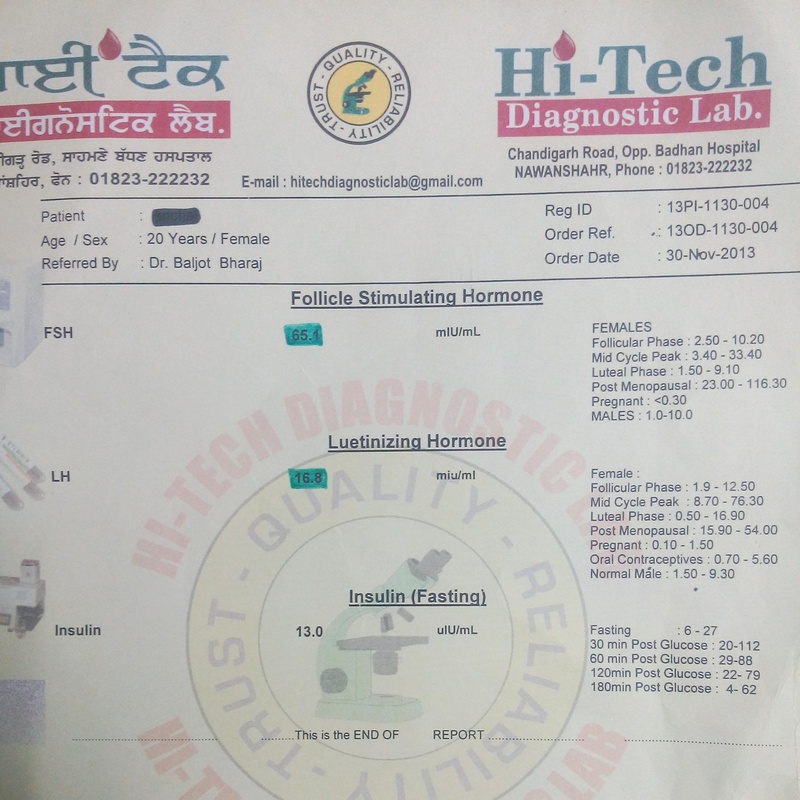 So she was advised for hormonal evaluation on 2nd day of menses i.e FSH ( Follicle Stimulating Hormone ) , LH ( Luteinising Hormone ) and Insulin ( Fasting ) . Hormonal assay was High FSH & High LH . Ayurvedic Treatment was started on 30th November , 2013 . Her next two cycles were normal . FSH , LH was repeated after two months – on 22nd January , 2014 . Both of them were within normal range . 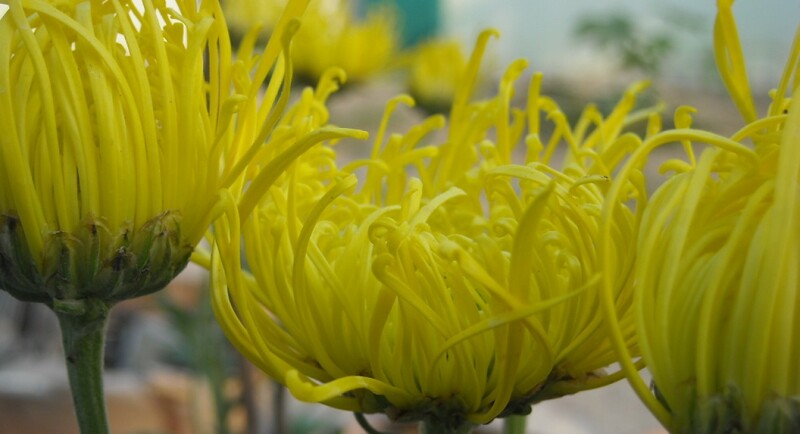 Ayurvedic treatment was continued for 2 more months . Her USG was repeated and was Normal .